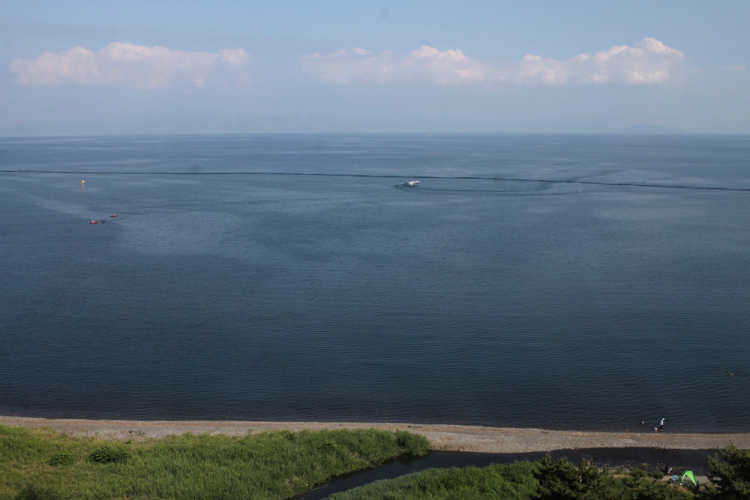 From a lake-view room, you can see the stunning view of Lake Biwa looks like ocean without any obstructions. The Crown Prince has stayed here in the past, but it's a reasonable hotel where you can enjoy with families.◎Basically, they prepare for bed without meals, but you can add meals or other options. They have free parking lots and indoor stand for bicycles. It's convenient for cyclists around Lake Biwa.